A logo design and branding for a business card for a new start-up pharmaceutical business. 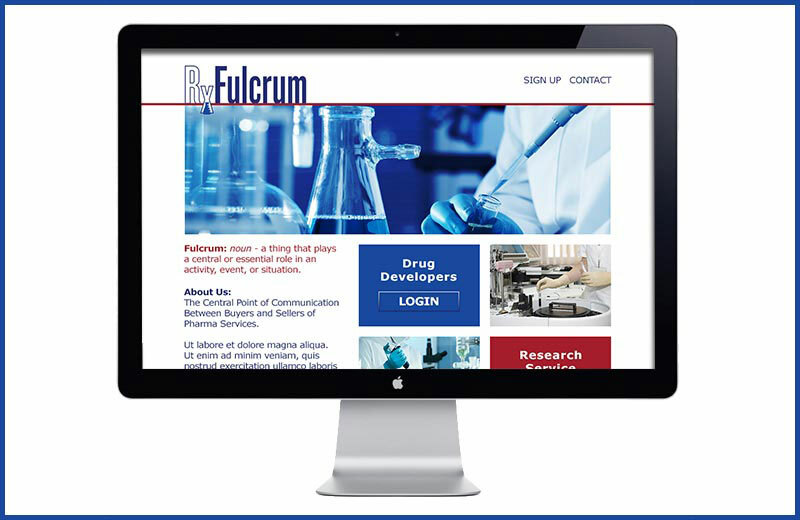 A website landing page design concept layout for RxFulcrum, a start-up pharmaceutical company. The graphic design layout of an investor’s print brochure describing basic details of the start-up company. 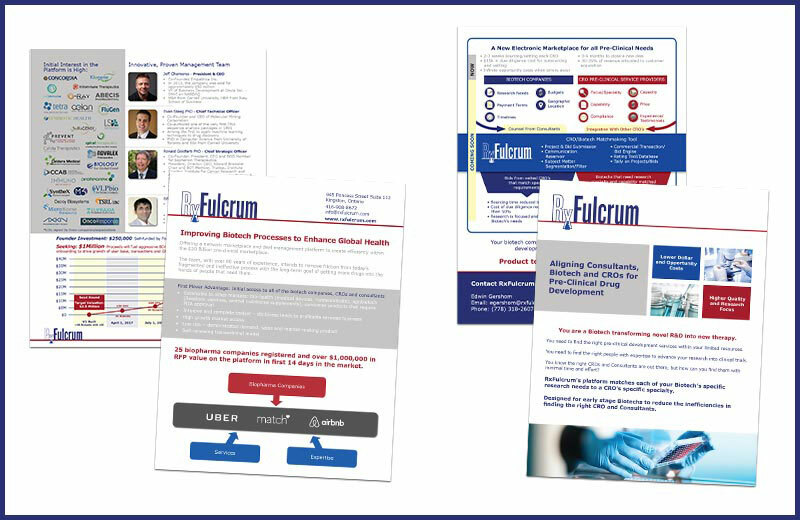 Client: RxFulcrum: A pharmaceutical software start-up company which required a logo, branding & initial website design.